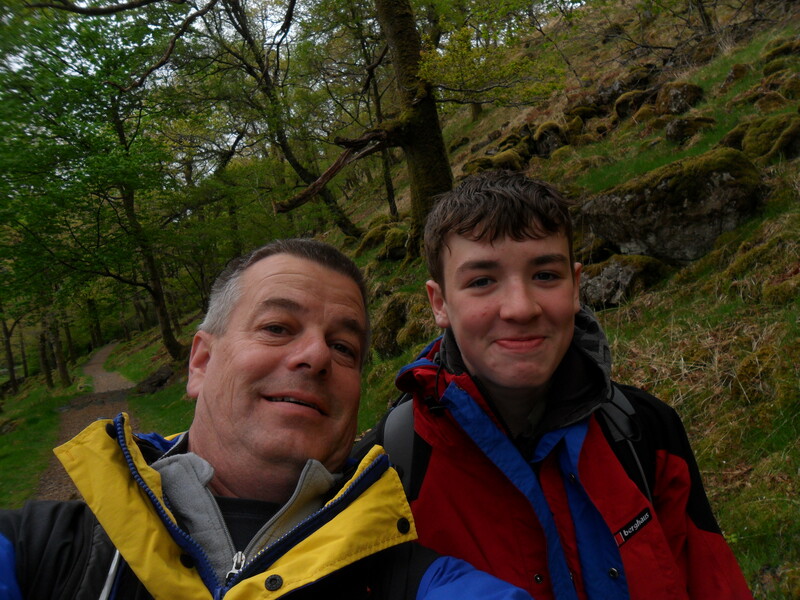 Nigel Laughton is a fit, experienced mountain walker who starts out properly equipped to make sure he can walk safely, particularly when he has his 15 year old son, Sean, with him. Nigel and Sean enjoy climbing in Snowdonia, and had both climbed Snowdon a number of times, and planned to do so again at Easter this year. But due to the snow conditions on the mountain that lingered long into April put off their trip like any sensible walkers should have done. They waited until the 23rd May when the weather conditions had improved before deciding to attempt their ascent on the Snowdonia mountains. Having checked they had all the right equipment with them, Nigel and his son drove up from London to begin their walk at the start of the Watkin Path which leads to the summit of Snowdon. Today they had planned to take the detour to Yr Aran, a mountain peak 2,451 ft (235m) high, to the south of Snowdon, before attempting the major peak itself via the South Ridge. Again, something they had both done before. Although there was a strong 45 mph wind blowing with the occasional hail shower they made good time, and reached the peak of Yr Aran without incident and set off along the South Ridge. Although still being pounded by wind and hail, father and son were enjoying the day. As seasoned walkers they had been out in worse weather, so carried on their climb, making good headway for about two hours until the problems started. Nigel started to feel unwell. He was dizzy and began to have difficulty breathing and didn’t feel he could continue the climb. They made the decision to turn around, and leave the summit for another day. After a short break they set off on the return trip, and were making quite good progress until Nigel became dizzy again, this time collapsing on the ground. 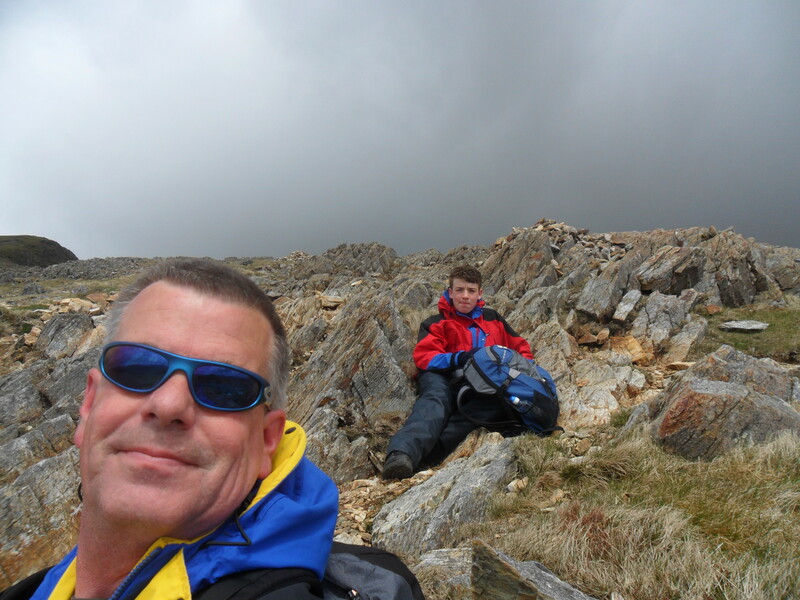 Nigel was travelling with an experienced, albeit only 15 years of age, walker, and had taken safety precautions by packing the right equipment and had drilled his son on what to do in an emergency. Springing into action Sean erected the emergency storm shelter and put Nigel in it. He then grabbed the phone and made the call to emergency services. The weather was freezing cold, but Sean waited outside of the shelter for around an hour watching for the helicopter to arrive so he could signal to it. In the end the Llanberis Mountain Rescue team was first to arrive as it was too windy to winch a casualty up from that point, and they used a sledge to take him down the side of Snowdon to where the helicopter had been able to land to wait for him. Nigel says that this is an experience he does not want to repeat in a hurry, although he is extremely grateful to his rescuers – and to the guys from RAF Valley who he says were brilliant! Nigel is an experienced walker, and had always prepared properly for a walk being utterly determined never to have to call on the services of the hard pressed volunteer rescue teams. But on this occasion he could not have managed without them, and is extremely grateful that they were there when he needed them. He is also very proud of Sean who he calls his ‘little hero’. Mountain Rescue Teams are funded solely by donations. All the members are volunteers who give up their time, without payment, to help people like Nigel who get into trouble on the mountains. 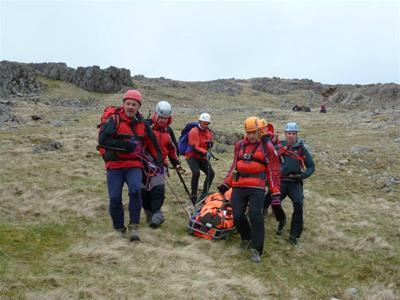 The Llanberis Mountain Rescue Team is one of the busiest in the UK attending 50 to 80 call outs each year. The team needs to receive at least £30,000 in donations to be able to keep running, so Nigel is giving his thanks for being at the receiving end of their help by completing a ’6 Way’ Challenge of Snowdon on the 27th July, 2013. Along with Sean and three friends Nigel (now fully recovered) will be undertaking this challenge which is planned to be completed within 24 hours. They will be taking the six main tracks up and down Snowdon. The first route will be to the summit via the Watkin Path, descending the Rhyd Ddu (Beddgelert) Path. They will then ascend the Ranger Path, and come back down the Miners Path. The final climb will be up the PYG Track, and the final descent down the Llanberis Path. And if you’ve ever climbed one of these paths up Mount Snowdon you will know what a real challenge this will be! Nigel wants to raise as much money as possible to support the Llanberis Mountain Rescue Team. Donations can be paid via his Just Giving page. Having been taken ill on the mountain Nigel has discovered that however much experience you have, and however much you prepare, you can still get into trouble on the mountains and need someone to come to your aid in an emergency. 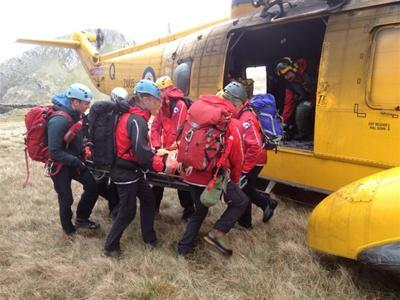 So please support this busy mountain rescue team by donating to this worthy cause.